When you crack open a raw egg, the egg white isn't white at all—it's more like a clear jelly. So why does it turn white when you cook it? Does that make it safe to eat? And what about egg yolks? What's in an egg white? Egg whites, or albumen, are made up mostly of water. But they also contain dozens of different proteins, such as albumins. Those proteins are what make an egg white turn white when it's cooked. 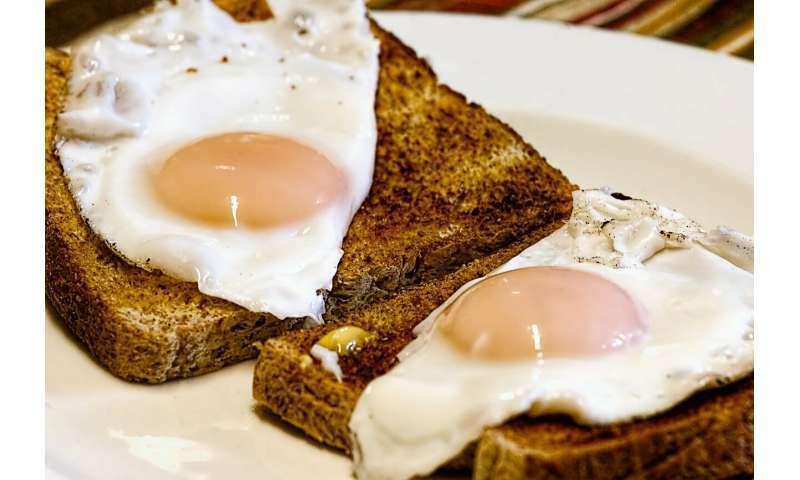 "The short answer is that egg whites turn white because a chemical reaction takes place when the proteins in an egg white heat up," says Ben Chapman, a food safety researcher at NC State University. "Egg whites will start to get cloudy at approximately 140 degrees Fahrenheit, or 60 degrees Celsius," Chapman says. "At 149 degrees Fahrenheit (65C), the egg white becomes opaque, preventing light from passing through. This same process is what turns the egg white from a liquid into a solid." "Cooking egg whites to 145 degrees Fahrenheit, or around 63 degrees Celsius, addresses pathogen risks—specifically the risks associated with Salmonella Enteritidis," says Natalie Seymour, a food safety expert at NC State. "And since egg whites set, or become solid, at 149 degrees Fahrenheit, that means they're safe to eat." Are egg yolks safe to eat if they're still runny? Maybe. It depends on how runny you're talking about. "For food safety, egg yolks also have to be cooked to 145 degrees Fahrenheit," Seymour says. "That's still pretty runny. Egg yolks don't set until they reach 158 degrees Fahrenheit (70C). So, at 145 degrees, egg yolks are still semiliquid, with a velvety texture."